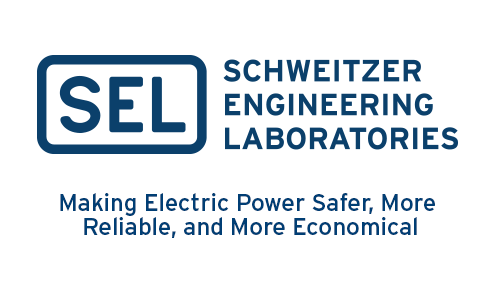 Use existing station communications paths with IEEE C37.94 compliant devices for electric power pilot protection schemes. 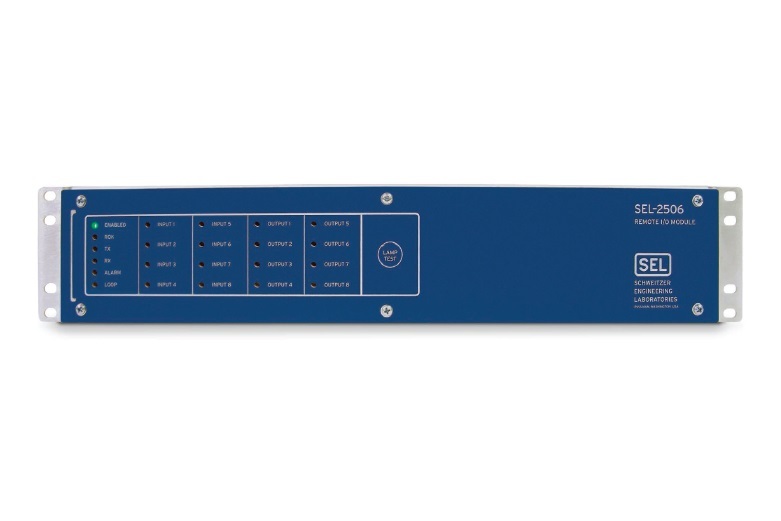 The SEL-2595 Teleprotection Terminal provides better than 5.5 ms back-to-back operating time via 64 kbps communications. Employ eight bidirectional channels per terminal to pass critical protection data for pilot protection schemes such as POTT, DCB, DCUB, and DTT (direct transfer trip). 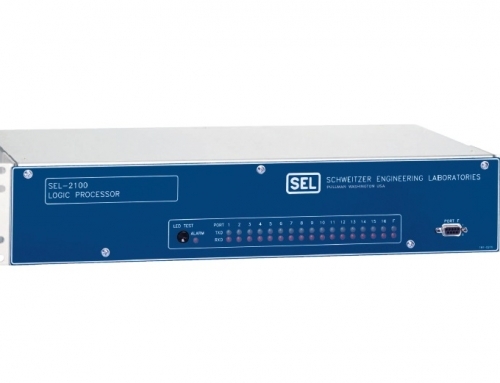 Increase reliability of auxiliary relay functions with the self-testing capability of the SEL-2595. 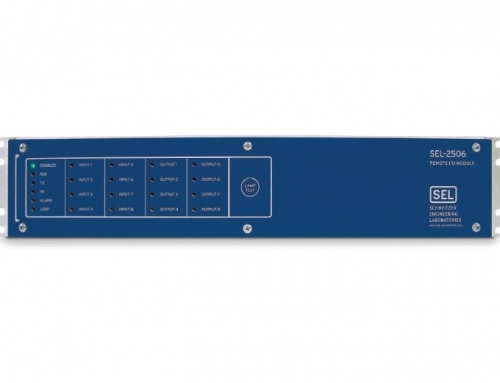 Digital error detection provides better security than audio tone equipment. Use fiber-optic cable between protection and telecommunications devices to avoid ground paths and induced noise interference. All wiring is behind the panel. Print user-configurable labels (included) to clearly indicate I/O usage. Reduce your installation to a compact, two-rack unit chassis. Use Connectorized® terminal blocks, instead of screw-terminal blocks, to easily install and remove unit without disturbing wiring. 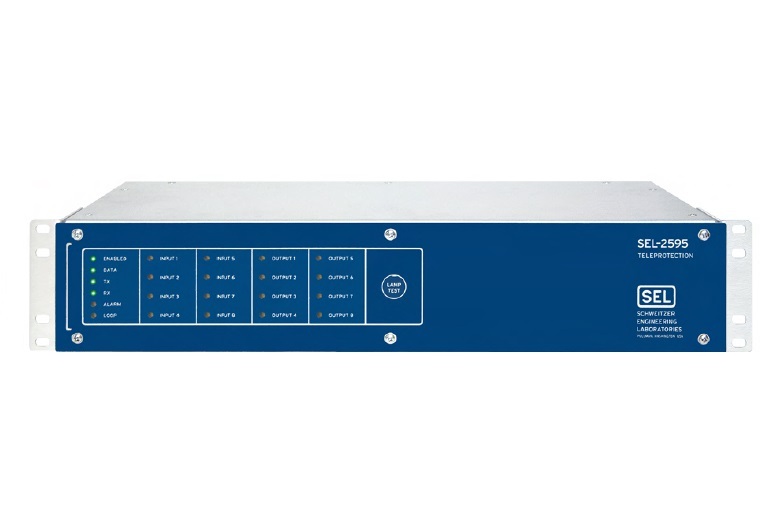 The SEL-2595 communicates through a remote multiplexer using IEEE C37.94 protocol, eliminating all electrical connections in the communications path. Use existing station communications paths with IEEE C37.94-compliant inputs to send permissive, blocking, and direct transfer trips between stations. 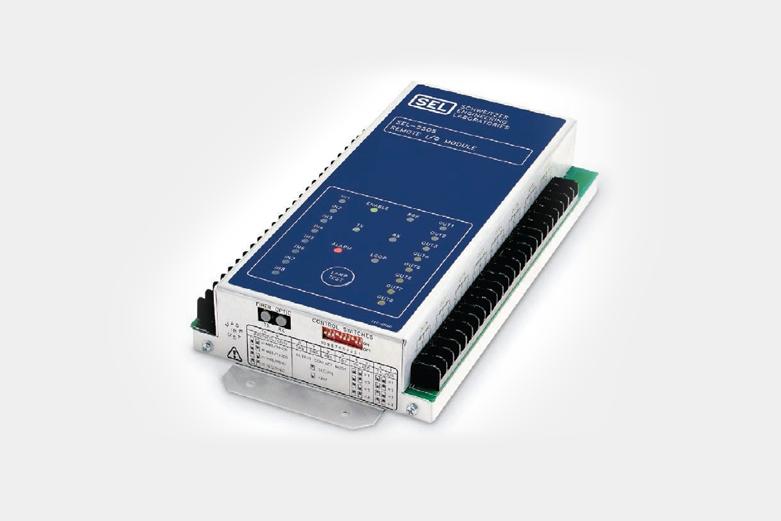 Use the SEL-2595 to send transfer trips to and from electromechanical relays. Provide station alarm contacts to a central location for data acquisition, monitoring, or security systems. 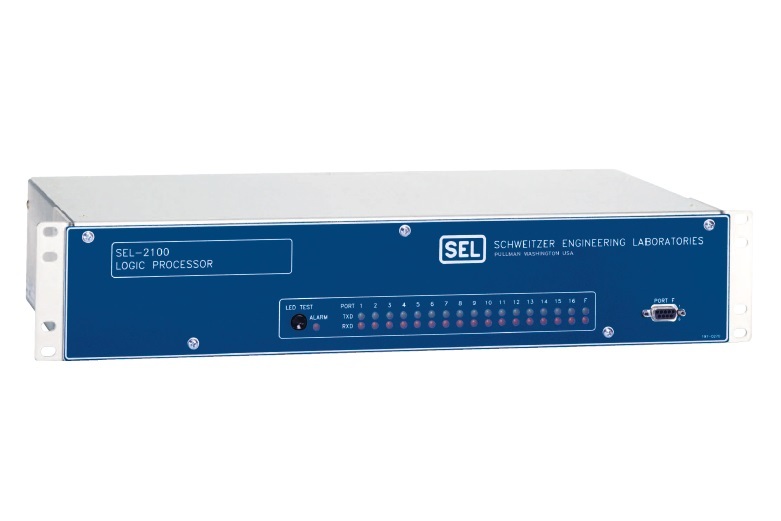 A With SEL-3044 Encryption Card Option With compatible SEL fiber-optic transceiver or interface option or processor.